It has become axiomatic that a widening schism exists in relations between Israel and Diaspora Jewry. Relations with American Jews (who constitute over 70% of Diaspora Jewry) are increasingly fraught. Prime Minister Benjamin Netanyahu seems unperturbed. After all, who needs American Jews when (in his view) evangelical Christians are better friends to Israel? Against that backdrop, Israelis who are concerned about the rift, like former IDF spokesperson Peter Lerner, deserve kudos. Unfortunately, the proposals Lerner advances in his recent piece (“4 Things Israel Can Do To Heal The Divide With The Diaspora”) are woefully inadequate. Lerner focuses on tools the Israeli government could use to pull Diaspora Jews closer to Israel. These include well-worn ideas like de-emphasizing Aliya and focusing instead on spreading awareness of Jewish culture and offering Hebrew classes in the Diaspora – this time through a new NGO dubbed the Jewish World Alliance. He envisions a new Jewish Global Assembly, convened annually to discuss challenges and opportunities; the creation of “global virtual meeting place” for Jews worldwide; and programs for young Jews in Israel and the Diaspora to cultivate relationships. It is not tools — new organizations and programming — that are lacking. It is a willingness to listen to Diaspora Jews and change course from policies and attitudes which repel us. As a whole, we hold a deep affinity for Israel. 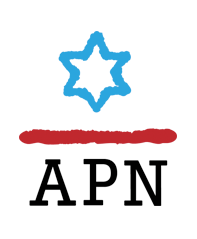 According to a 2018 American Jewish Committee survey, 70% of US Jews feel that “caring about Israel is a very important part of my being a Jew.” Similarly, 79% believe a “thriving State of Israel is vital for the long-term future of the Jewish people.” While we are loyal American citizens and (with few exceptions) have no intention of making Aliyah, many of us regard Israel as the state in which our national self-determination is realized. To a growing number, sadly, it feels like Israel is pushing us away. If Israel cares to bridge the gap, what should it do? Through its 2017 Entry Law that denies entry to Israel by those who promote boycotts against Israel (defined to include boycotts against Israeli settlements in the Occupied Territories), Israel conveyed clearly that it has a political litmus test for admission to Israel. The uptick in Shin Bet interrogations at Ben-Gurion Airport of American Jews who support Palestinian rights — including avowed Zionists like Peter Beinart and Meyer Koplow — shows that Israel is moving in the wrong direction. While many Diaspora Jews maintain a love for Israel, we are increasingly shedding an Israel-right-or-wrong attitude in favor of critical engagement. Israel can harass or even ban us. But if Israelis care about the Diaspora, we must be able to engage each other. Lerner emphasizes listening to young people, and rightly so. But Israel must be prepared to hear them. What young Jews joining J Street U chapters on campuses and starting organizations like IfNotNow in the US and Na’amod: British Jews Against the Occupation are saying is that their Jewish values and love for Israel inspire them to work for Palestinian human rights and an end to the Occupation. While Israel is not solely to blame for lack of peace with Palestinians, as long as the Netanyahu government pushes toward annexing the West Bank and maintains a punitive closure of Gaza, the drift from Israel by young Diaspora Jews will continue. Only 11% of American Jews classify themselves as Haredi or Modern Orthodox, with the rest identifying with different denominations or as “other.” An overwhelming majority of American Jews believe Israel should respect religious pluralism. Prime Minister Netanyahu’s cancelation of an agreement to create a mixed-gender prayer area adjacent to the Western Wall and the recent arrest of a Conservative rabbi in Haifa for performing a wedding exacerbate the Israel-Diaspora divide. The decision by lawmakers to leave out of the new Nation-State Law language which would have acknowledged a role for world Jewry in Israel was yet another swipe at Diaspora Jews. Taking steps toward recognition of religious pluralism would go a long way toward earning the good will of Diaspora Jews. Minority status is part and parcel of the Diaspora Jewish experience. Liberal democratic protections of minority rights and civil liberties are dear to American Jews and dovetail with the Judaism on which we were raised, which emphasizes social justice and tikkun olam. Disturbing efforts by the Israeli government to curtail freedom of speech regarding Israel on American college campuses in the name of combating Boycott, Divestment and Sanctions teach young Diaspora Jews that Israel’s growing illiberalism doesn’t stop at its border. And that does not bode well for future Diaspora-Jewish relations. What message does it send to American Jews, the majority of whom disapprove of Donald Trump and feel our status is less secure since he became president, when Netanyahu lionizes Trump by comparing him to Cyrus the Great? It is a similar message to the one received by Hungarian Jews when Netanyahu engages in an “illiberal bromance” with their Prime Minister Viktor Orban, who made anti-Semitic attacks on George Soros a feature of his re-election campaign. While Israeli leaders should conduct foreign policy in Israel’s national interests, they should do so with an eye to the security and sensitivities of Diaspora Jewish communities. Diaspora Jews care greatly about Israel and are distressed over the growing Israel-Diaspora rift. Some have come to the conclusion that Israel just doesn’t care about us. So it’s encouraging to find Israelis like Peter Lerner for whom ties to the Diaspora still matter a great deal. The question is: Will Israel listen to our concerns and meet us halfway?